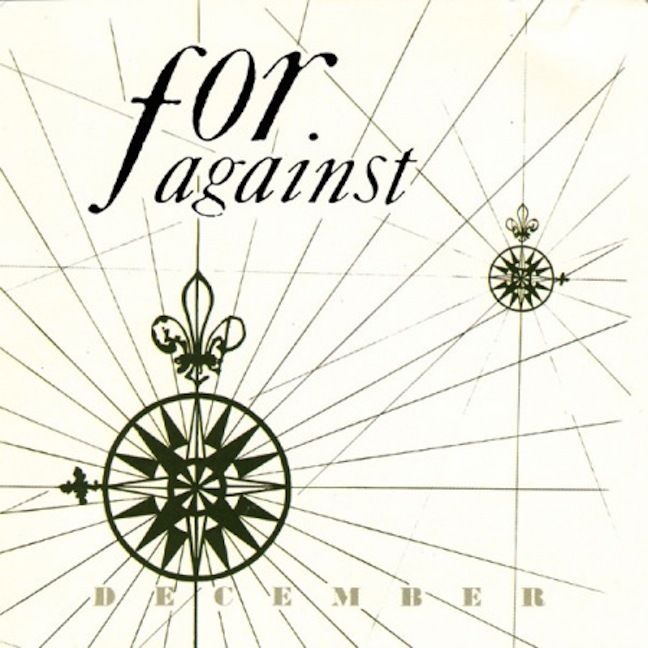 December is a light, somewhat psychedelic album release that’s not much longer than half an hour, released in 1988 by America’s indie act, For Against. The band was formed in 1984, and kept on producing into the late 2000s, like a hard-rock version of Depeche Mode. The album starts with a quick-paced track, which sets a good tone for the rest of the album. It features the lyrics of Jeffrey Runnings, and are typically mysterious: different yet everyday, simple yet poetic, provocative yet concise. December has a wonderfully weird alternative sound as well: dry, boyish, indie type of vocals, distinctive punk-style drums, arpeggiated echoey fuzz tone guitars, and a crudely clean bass. Medium to fast tempos, loose but well-put rhythms, and unusual chord progressions make the tonality sound acoustic but still classically rock ‘n roll; the tracks loom and linger inside your head as you escape into an esoteric world of old-school rock. The album closes with a well-rounded complex track called ‘Clandestine High Holy’, which leaves an aftertaste as sweet as its solo.